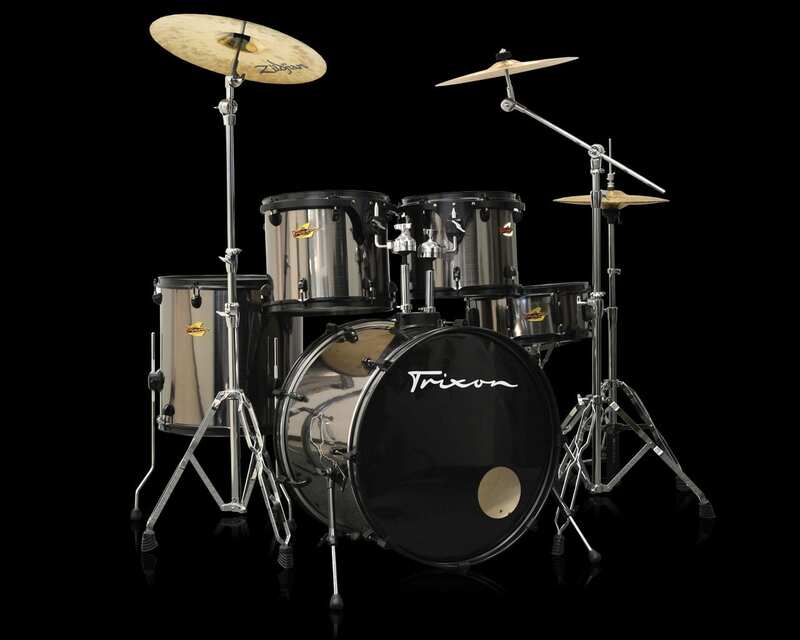 New for Trixon are our improved, 2014 Model, 5-Piece Drum Kits. These kits are full of upgrades from the 2013, Generation 3 Models. The biggest improvement has been the addition of our Big-Tension lugs and Floated Tom-Tom Support System. Trixon has redefined their lug system. We kept the same amount of internal mounting friction but decreased the footprint of the lug as it sits on the drum shell. This allows for secure tension with less tonal interference from the hardware. Trixon has added a Floated Suspension System to their Tom-Tom mounts. This system utilizes an exterior quarter-rim that secures each tom mounting point with a sound-stopping rubber to the bass drum hardware. This gives the tom-toms a rich tone with an unparallelled amount of separation from the bass drum.